Mini golf where you cannot see the contours of the green. Nor the obstacles. And you have to get a hole in one to pass. 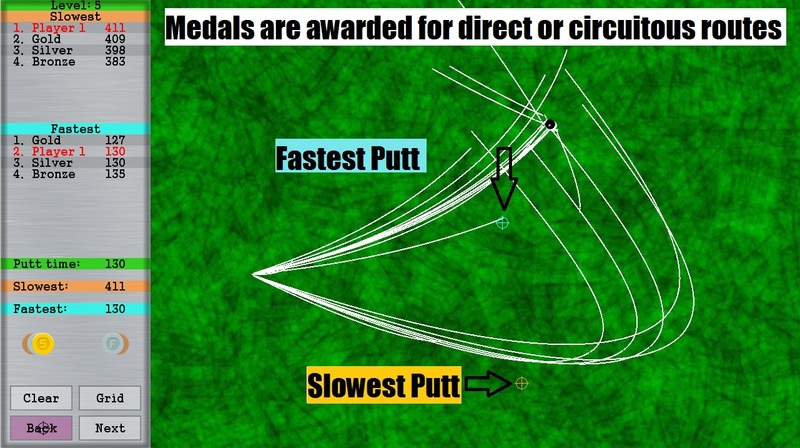 35 levels of hole in one mini golf. 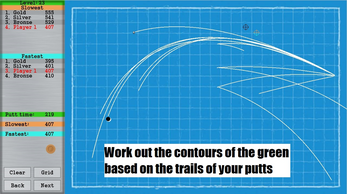 You have unlimited putts, but must score a hole in one to continue. 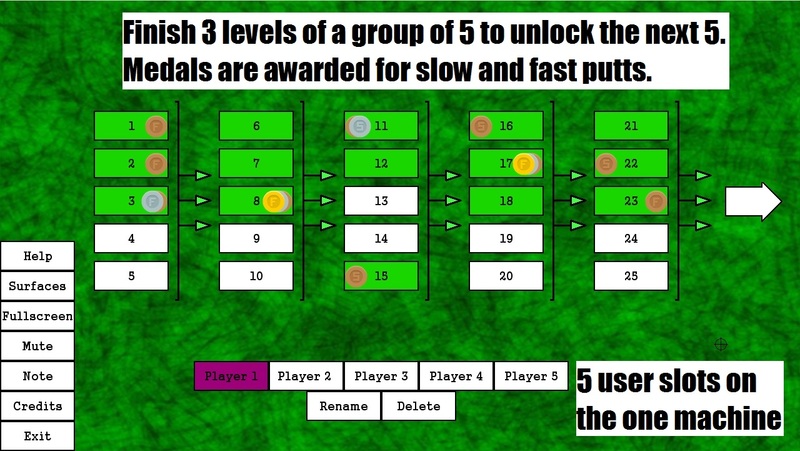 Well, you need to finish 3 out of 5 levels to unlock the next 5. I hate how getting stuck on one level blocks your progress in other games. 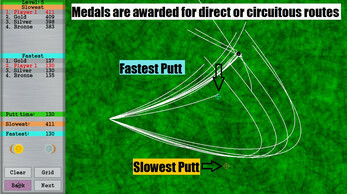 Two goals for each level: fastest and slowest putts. Pretend like you were going for slowest if you get lucky on one. I won't judge. Instant retry. 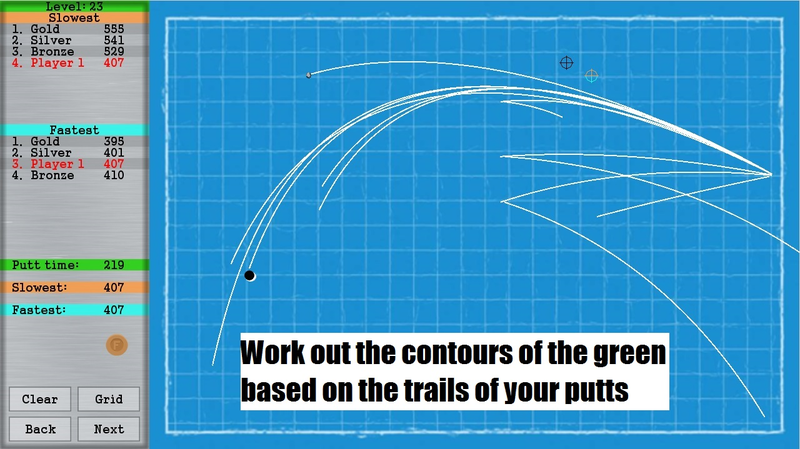 You'll get in this zen like rhythm of putt, watch, adjust, re-putt. Or you'll punch the screen. 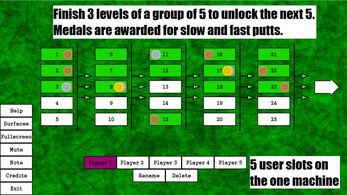 Gold, silver and bronze medals for each level for you to achieve. 5 users on the one computer. Completely non-violent and not even any swearing either. Family friendly.